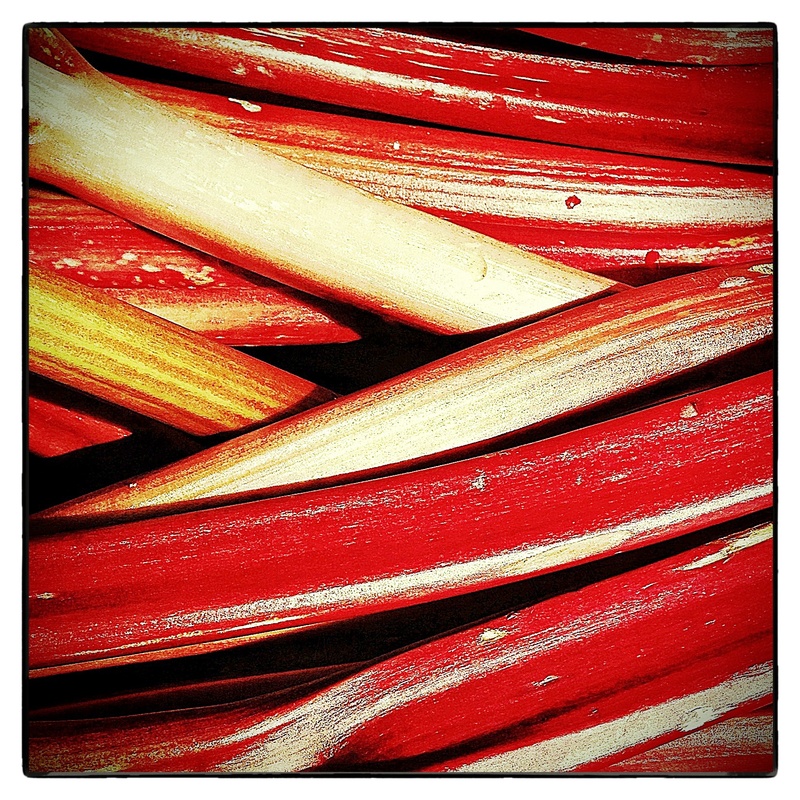 For this week’s iPhoneography Monday theme of Nature I have a picture of freshly cut Rhubarb from our local farmer’s market. Photo from my iPhone 5 and edited in Snapseed and PhotoToaster. If you would like to join the iPhoneography Monday photo fun please visit Lens and Pen by Sally for the schedule and details. I’m glad you could tell what it was before reading! Crisps and cobblers are my favorite, too. 🙂 My mom and dad grew their own rhubarb at the edge of the garden. How perfect! I wish we had some growing here but at least there are farmers markets close. Rhubard wine??? Oooh I wanna try! My dad makes it as a hobby but if I hear of anywhere that sells it retail I’ll let you know. I harvested my first rhubarb this week…so special. I think the subject for your post was quite appropriate. Beautiful! I love to make rhubarb/banana sauce or rhubarb/strawberry sauce, or crumble!